Few sights and sounds are as emblematic of the North American southwest as a defensive rattlesnake, reared up, buzzing, and ready to strike. The message is loud and clear, “Back off! If you don’t hurt me, I won’t hurt you.” Any intruders who fail to heed the warning can expect to fall victim to a venomous bite. But the consequences of that bite are surprisingly unpredictable. 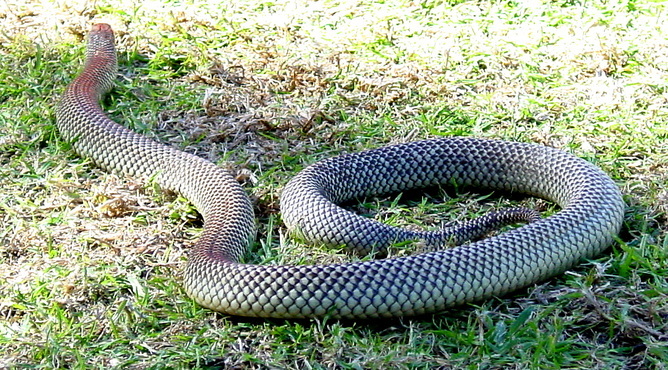 Snake venoms are complex cocktails made up of dozens of individual toxins that attack different parts of the target’s body. The composition of these cocktails is highly variable, even within single species. 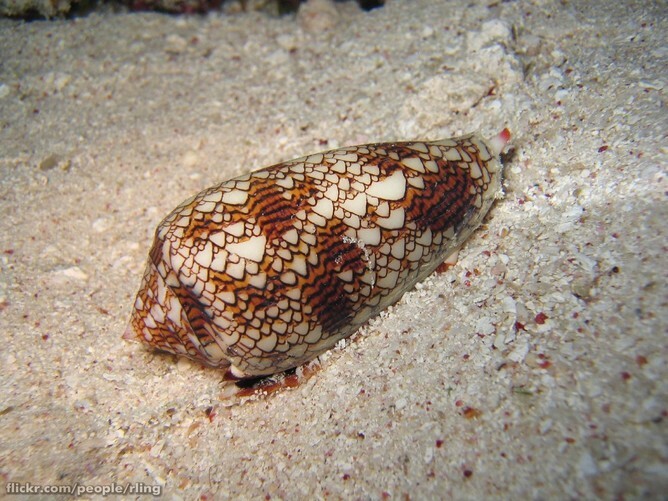 Biologists have come to assume that most of this variation reflects adaptation to what prey the snakes eat in the wild. But our study of the Mohave rattlesnake (Crotalus scutulatus, also known as the Mojave rattlesnake) has uncovered an intriguing exception to this rule. What’s in those glands? It depends where you are! A 20-minute drive can take you from a population of this rattlesnake species with a highly lethal neurotoxic venom, causing paralysis and shock, to one with a haemotoxic venom, causing swelling, bruising, blistering and bleeding. The neurotoxic venom (known as venom A) can be more than ten times as lethal as the haemotoxic venom (venom B), at least to lab mice. The Mohave rattlesnake is not alone in having different venoms like this – several other rattlesnake species display the same variation. But why do we see these differences? Snake venom evolved to subdue and kill prey. One venom may be better at killing one prey species, while another may be more toxic to different prey. Natural selection should favour different venoms in snakes eating different prey – it’s a classic example of evolution through natural selection. This idea that snake venom varies due to adaptation to eating different prey has become widely accepted among herpetologists and toxinologists. Some have found correlations between venom and prey. Others have shown prey-specific lethality of venoms, or identified toxins fine-tuned for killing the snakes’ natural prey. The venom of some snakes even changes along with their diet as they grow. We expected the Mohave rattlesnake to be a prime example of this phenomenon. The extreme differences in venom composition, toxicity and mode of action (whether it is neurotoxic or haemotoxic) seem an obvious target for natural selection for different prey. And yet, when we correlated differences in venom composition with regional diet, we were shocked to find there is no link. In the absence of adaptation to local diet, we expected to see a connection between gene flow (transfer of genetic material between populations) and venom composition. Populations with ample gene flow would be expected to have more similar venoms than populations that are genetically less connected. But once again, we drew a blank – there is no link between gene flow and venom. This finding, together with the geographic segregation of the two populations with different venoms, suggests that instead there is strong local selection for venom type. Mohave rattlesnake feeding on a kangaroo rat, one of its most common prey items. The next step in our research was to test for links between venom and the physical environment. Finally, we found some associations. The haemotoxic venom is found in rattlesnakes which live in an area which experiences warmer temperatures and more consistently low rainfall compared to where the rattlesnakes with the neurotoxic venom are found. But even this finding is deeply puzzling. It has been suggested that, as well as killing prey, venom may also help digestion. Rattlesnakes eat large prey in one piece, and then have to digest it in a race against decay. A venom that starts predigesting the prey from the inside could help, especially in cooler climates where digestion is more difficult. But the rattlesnakes with haemotoxic venom B, which better aids digestion, are found in warmer places, while snakes from cooler upland deserts invariably produce the non-digestive, neurotoxic venom A. Yet again, none of the conventional explanations make sense. Clearly, the selective forces behind the extreme venom variation in the Mohave rattlesnake are complex and subtle. A link to diet may yet be found, perhaps through different kinds of venom resistance in key prey species, or prey dynamics affected by local climate. In any case, our results reopen the discussion on the drivers of venom composition, and caution against the simplistic assumption that all venom variation is driven by the species composition of regional diets. From a human perspective, variation in venom composition is the bane of anyone working on snakebite treatments, or antidote development. It can lead to unexpected symptoms, and antivenoms may not work against some populations of a species they supposedly cover. Anyone living within the range of the Mohave rattlesnake can rest easy though – the available antivenoms cover both main venom types. Globally, however, our study underlines the unpredictability of venom variation, and shows again that there are no shortcuts to understanding it. Those developing antivenoms need to identify regional venom variants and carry out extensive testing to ensure that their products are effective against all intended venoms. Perhaps the most common type of poison in animal venoms is the nerve toxin. This group can acts in diverse ways to block or over-stimulate the nervous system – rarely a good thing. 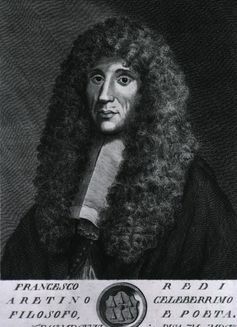 Francesco Redi worked out where the poison of venomous snakes is stored. The blue-ringed octopus shares a common toxin type with the puffer or fugu fish – most famous as Japan’s deadly delicacy. Both contain a very powerful nerve blocker called tetrodotoxin. 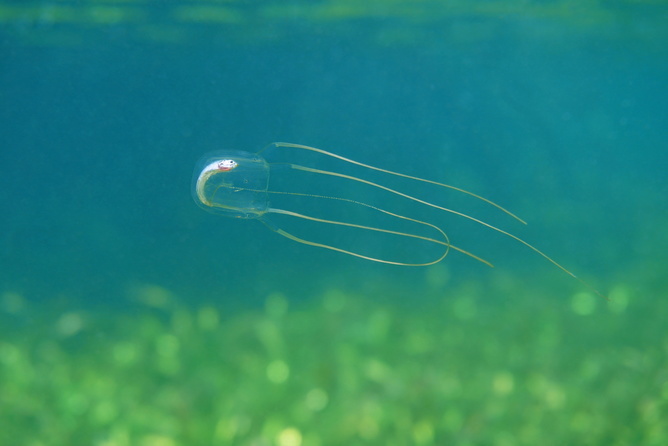 As well as being extremely painful, a brush with a box jellyfish can kill you in minutes. 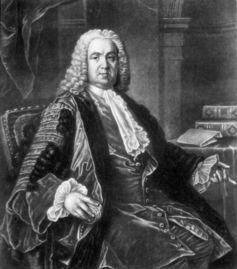 English physician Richard Mead (1673-1754) drank viper venom to show it must be injected into the body to cause harm.